The great thing about being a celebrity is that you are rich and famous and wherever you go, the paparazzi follow. The bad thing about being a celebrity is that every, awkward, embarrassing, unplanned moment is captured by prying lenses, then plastered on TV and in magazines for the world to see. But hey, in life you just have to take the good with the bad, and sometimes a celeb’s ‘bad’ might just be the most hilarious thing you have ever seen. Don’t believe me? 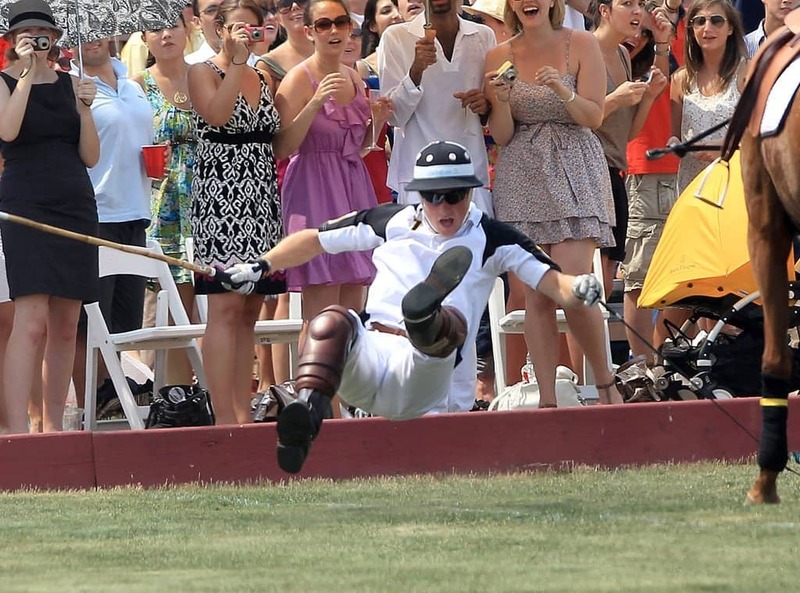 Check out these funny pictures of celebrity wipe-outs! With those crazy platform shoes, is it any surprise that Lady Gaga can’t keep her balance? He might be a prince, but he falls down just like the rest of us, just funnier! 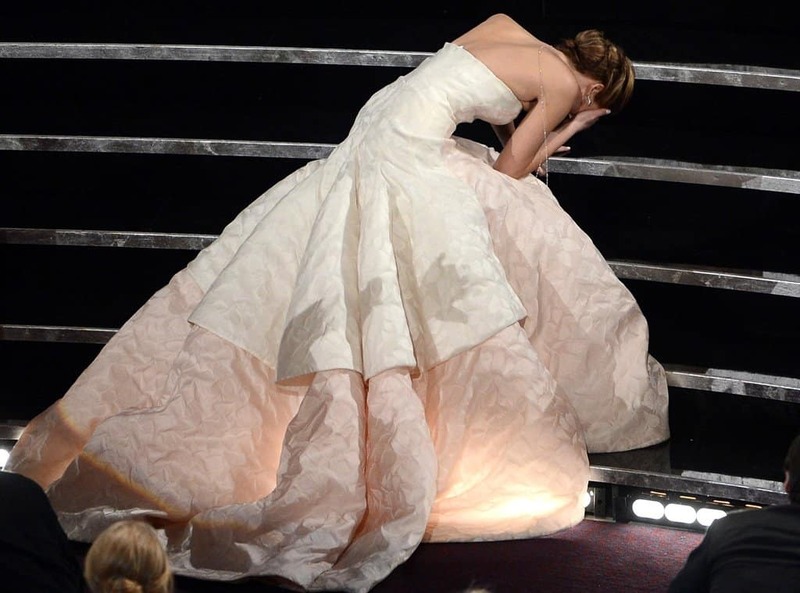 No matter how many times Jennifer Lawrence falls it is always funny, and trust me, she does fall down a lot. Jim Carey has been in some extremely funny movies, but this totally unplanned fall at the VMA’s certainly takes the cake. Katy Perry stole the show, but this time it wasn’t her performance — it was her hilarious wipeout at the Latin America Awards. 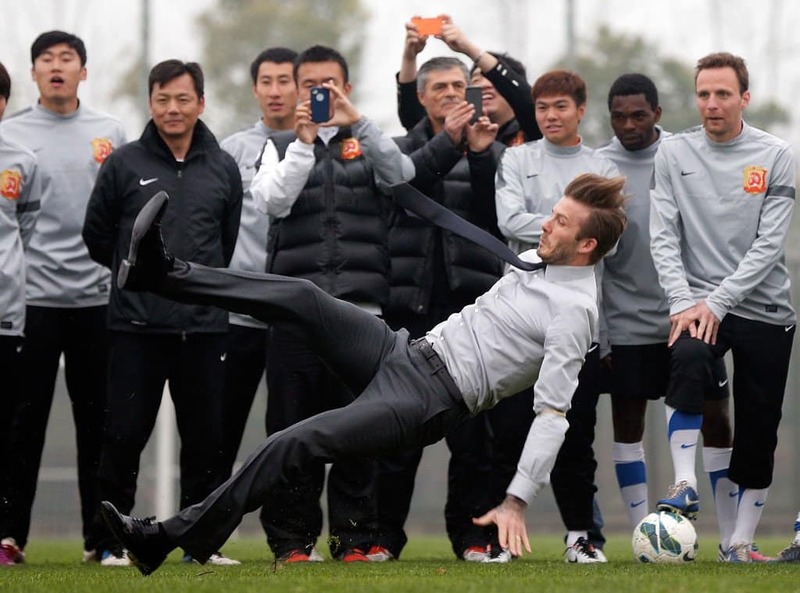 This hilarious wipe-out certainly gives new meaning to the term “bend it like Beckham.” Yikes! Talk about model instincts, Heidi Klum recovers like a pro after a cringe-worthy tumble at a charity event! The actress takes a funny topple after leaving her handprints at the TCL Chinese theater in Hollywood. Not only is Salma Hayek falling, but she’s taking her adorable daughter down with her. The Jersey Shore star takes a nasty tumble while walking in her super high, platform shoes. The singer and fashion mogul tries to keep her balance as her heel gets caught in a sidewalk grate. However, her attempts at trying not to fall is even funnier than if she actually did. 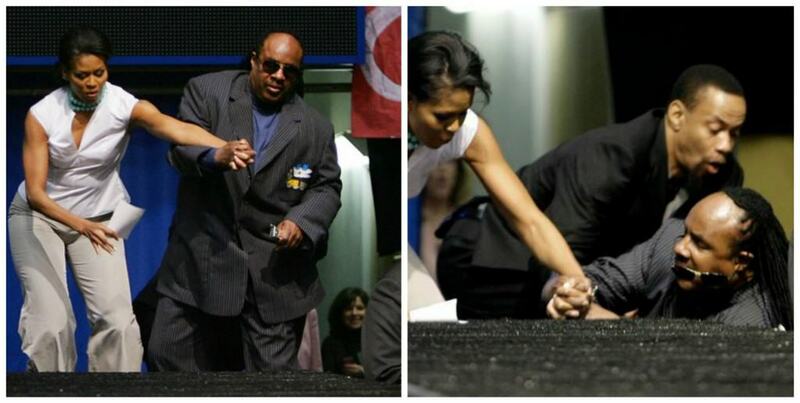 There are some stars that you simply cannot laugh at, and Stevie Wonder is on that list. This one is actually painful to look at. If Paris Hilton can laugh at herself after this nasty spill, then so can we. 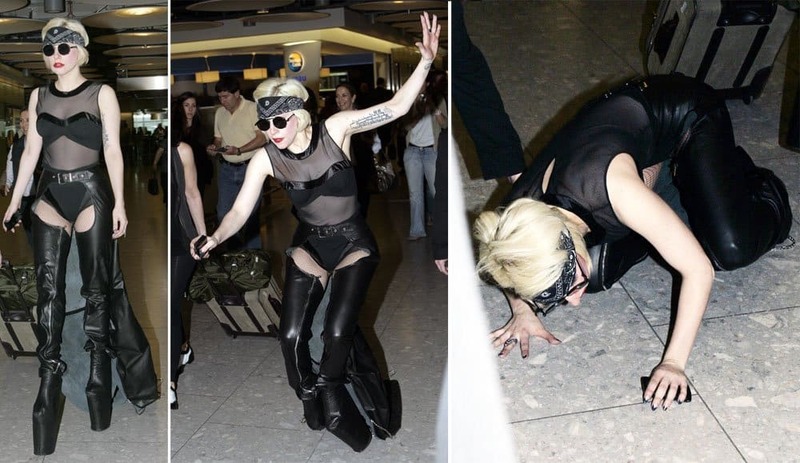 Even the queen of pop falls down sometimes, and now that we know she’s okay, we can all laugh about it! The petite actress takes a tumble while hosting the Tony awards with actor Sean Hayes. This one seems a little planned, don’t you think?